WDCB’s new 90.7FM signal in Chicago! WDCB is proud to announce that we’ve now secured long term use of a radio signal at 90.7FM in Chicago. You’ll still be able to tune in WDCB at 90.9FM, just as you always have, all across Chicagoland. 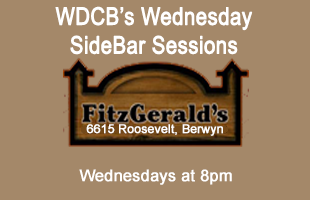 But now, you can also find WDCB’s programming on 90.7FM throughout much of Chicago. The 90.7FM signal doesn’t equally reach every corner of the city. It originates from the West Loop area of Chicago and reaches a large portion of the city’s West Side, including the Eisenhower Expressway corridor, as well as dozens of North and South Side city neighborhoods. 90.7FM is a great new option for listening to WDCB in city neighborhoods like Wicker Park, Bucktown, Ukrainian Village, UIC/Medical District, Garfield Park, Little Village, Pilsen, Little Italy, Logan Square, Bridgeport and Humboldt Park. Where can you use our new 90.7FM signal to hear WDCB? Green = Primary coverage area – Reception of 90.7 is generally good here. Orange = Distant reception of 90.7 may be possible here.